NTA will announce the JEE Main 2019 shift, date and timings for all registered candidates on the official website. The JEE Main 2019 which is being conducted by the National Testing Agency has come up with a lot of changes. And the biggest change is that NTA will not allow slot booking this year and therefore will allot the shift and timings to each candidate. The JEE Main 2019 shift timings and date of examination will be allotted on a random basis by the computer software. Although the JEE Main 2019 date for the allotment of shift and time has not been announced, candidates will be able to check their allotted shift on 20th March 2019 when the JEE Main 2019 Admit Card will be released. You guys can check the JEE Main 2019 Exam Date, Shift & Timings directly from the window given below, just enter your Registration Id & Captcha Code to view the timings. 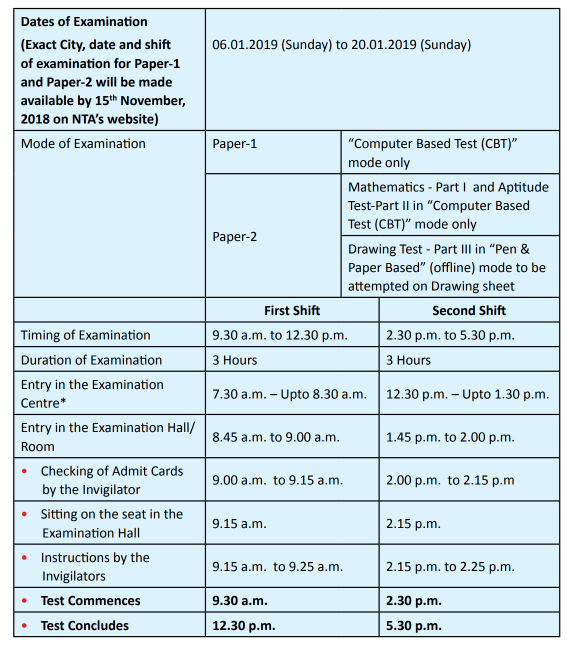 JEE Main Paper 2 for January Session will be conducted on 8th January 2019 in two shifts. Candidates who were waiting to know when they can take the JEE Main 2019, can finally know the shift timings of the exam! Paper I for Engg will be conducted in Two shift timings (9:30 – 12:30 and 2:30 – 5:30) and Paper II for Architecture will be conducted in 2 shifts on 8th January 2019! NTA has announced the JEE Main 2019 Exam shifts and timings for the successfully registered candidates on 5th October 2018. You can check your Shift timings using the window given below. Enter your registration id or application number along with the captcha given and click on search to view the allotted shift and date. JEE Main 2019 will be conducted from 7th to 20th April 2019. Last year, the CBSE had made the slot booking available where applicants of JEE Main Paper 1 and Paper 2 could book the time, date and shift in which they wished to take the examination. However, since NTA will now conduct the Joint Entrance Examination Main twice in a year, it has removed the option of slot booking for the candidates. The Joint Entrance Examination Main 2019 is going to be conducted by NTA (National testing Agency). The JEE Main 2019 will be conducted in two sessions – January session and April Session. National Testing Agency has released the JEE Main 2019 Exam dates, shifts and timings for the candidates on 5th October 2018. Although, while filling up the application form, candidates were given the option to choose 4 exam centres of their choice, they were not allowed to choose the shift and timings in which they can take the exam. 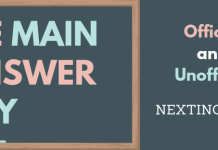 You must know the following information before checking the JEE Main slots that will be released tomorrow on the official website. The students have been allotted shifts, timings and dates on 5th October 2018. However, this may or may not be the final shift and date allotted to the candidate. The City allotted to the candidates of examination for Paper-1 and Paper-2 will also be available by 21st October 2018. JEE Main 2019 aspirants will be allotted the exact/final date, shift, timings and exam centre by 15th November 2018. All the shifts, dates and exam centres allotted to the candidate will be final and NTA will not entertain any request to change the same. Those students who are appearing in both Paper 1 and Paper 2 may be allotted different exam centres, dates. JEE Main Paper 1 (for engineering) will be conducted in two shifts whereas those who have opted for Paper 2 (for Architecture) will be required to take the exam 0n 8th Jnaury 2019 in two shifts. Next articleJEE Main 2019 Paper 2 for Architecture Students(B. Arch/ B. Plan): Online or Offline exam? 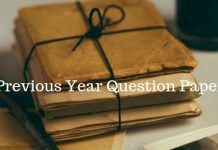 You cannot fill the JEE Main January 2019 form now. We cannot help you in any case. But don’t lose hope. Fill in the Application form for April 2019 exam which will be available from 8th February 2019. The Date and time for Paper 1 have been released. Paper 2 will be conducted on 8th January 2018 only in two shifts.